*Price is for Vivid Black (or solid colour where Vivid Black is not offered). Overseas model shown. The visual appearance and specifications of vehicles may vary by market and may differ from vehicles manufactured and delivered. Please contact our Call Centre on 1800 464258 AU / 0800464258 NZ for details. All comparisons made are between original equipment 2018 and 2019 models. 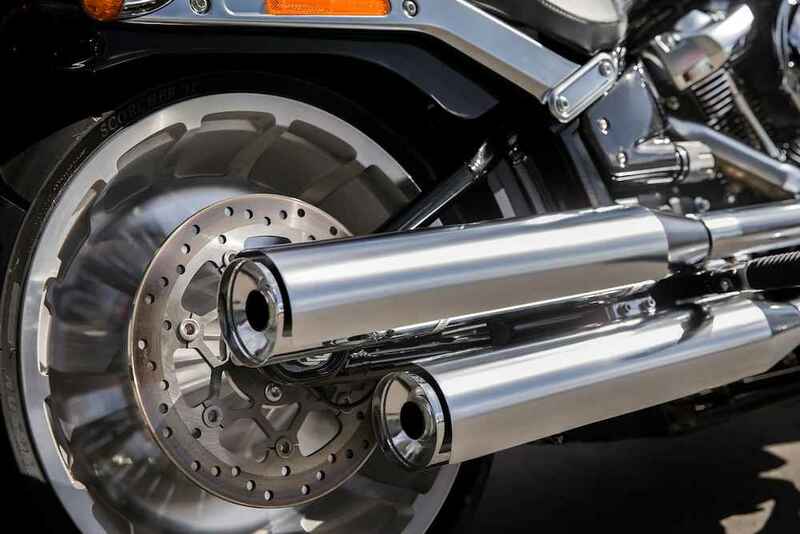 An all-you-can eat portion of sculpted satin chrome gives the Fat Boy® motorcycle a look that'll make a big impact. 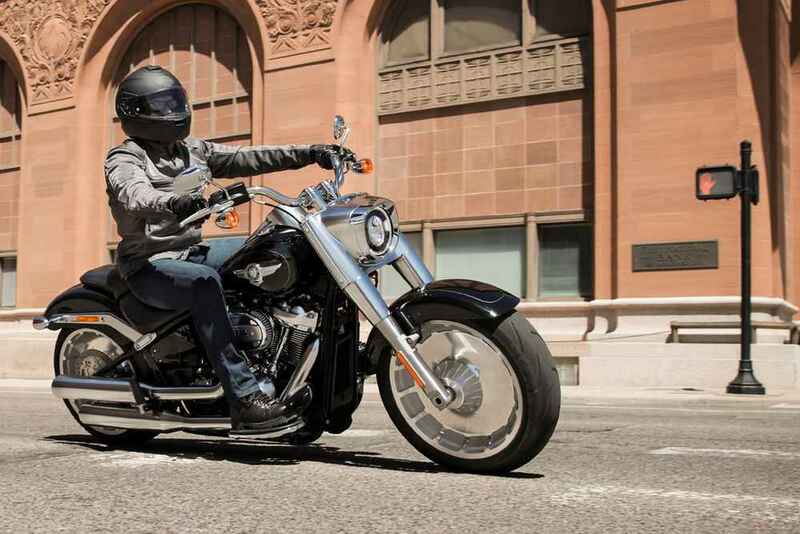 The reinvented frame retains the classic Softail® lines, but its lightweight design and stiffness translate to a responsive ride unlike anything you've felt before. 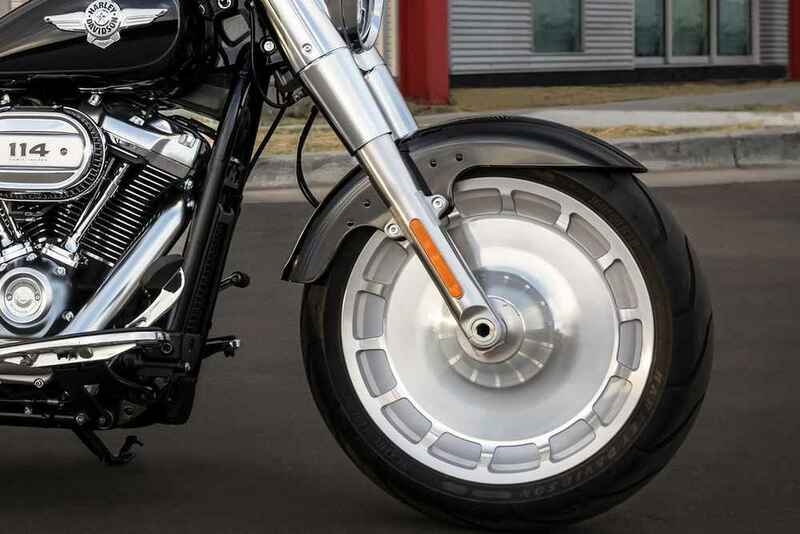 A muscular look thanks to solid-disc Lakester wheels wrapped in the widest front tyre we've ever offered from the factory at 160mm combined with a rear tyre at 240mm. 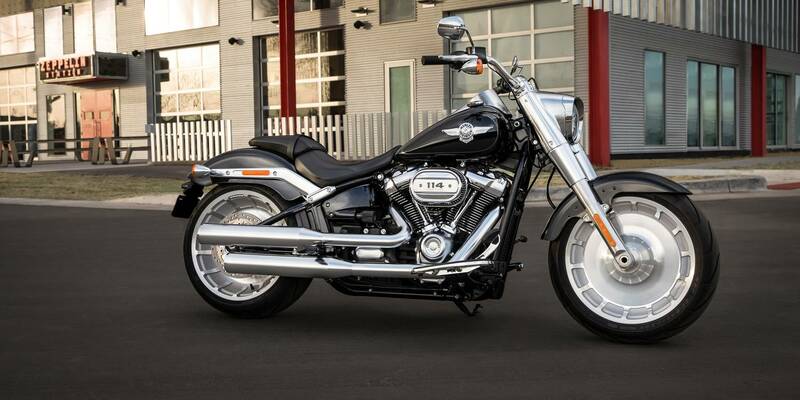 All models include security system *, 24 months Harley Assist, and 12 months International HOG membership. 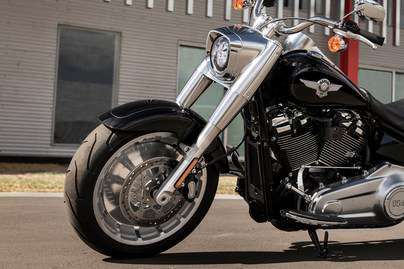 Price advertised is the maximum dealer ride away price. Offer ends Aug 31, 2018 unless extended. 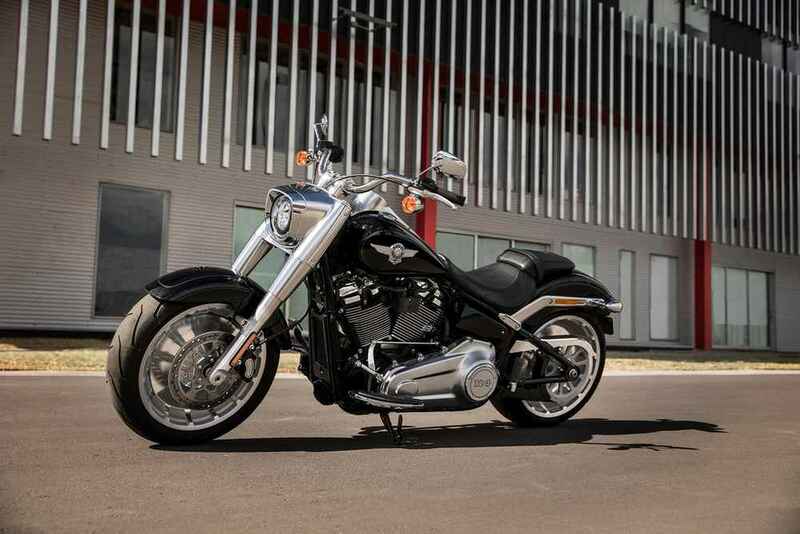 For Australia the ride away price includes 12 months private registration, 12 months Compulsory Third Party Insurance, Dealer Delivery and Stamp Duty ^. Optional extras not included. 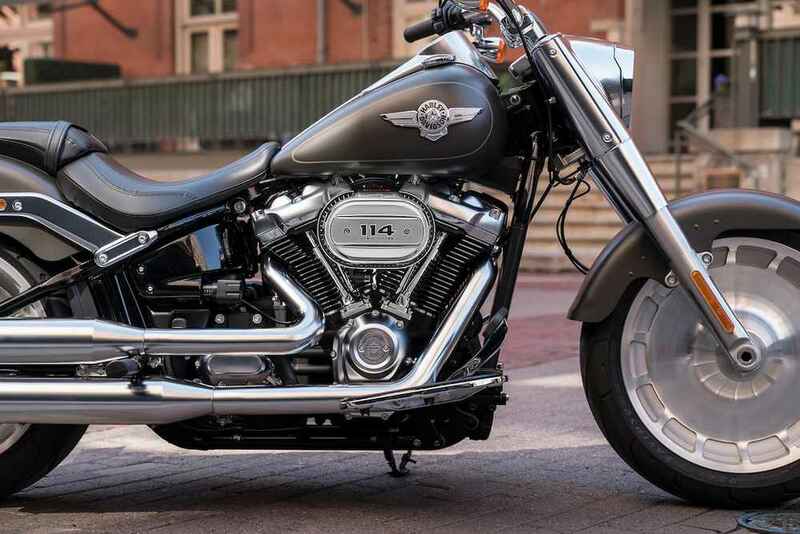 Full details on pricing can be obtained from your local authorised dealer. 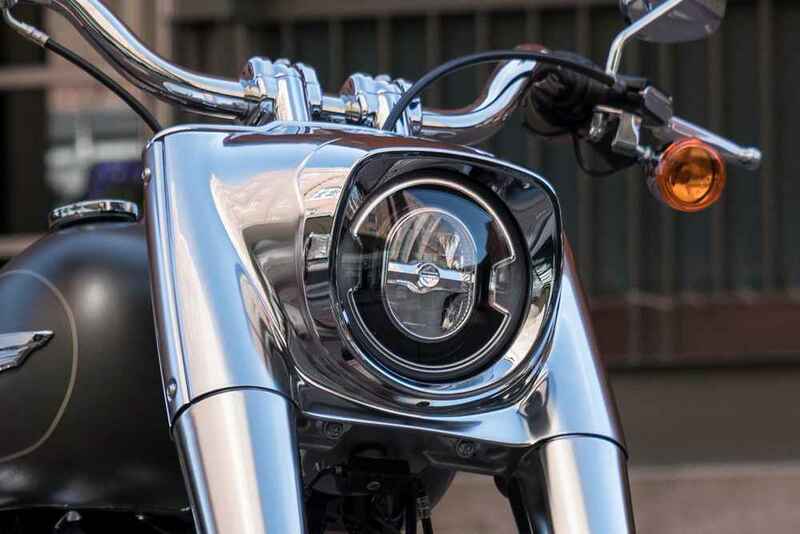 ^Ride Away pricing for Australia is based on a purchaser with a good riding record- may be higher for other purchasers that do not meet this criteria.